Mikhail Laskin is an experienced trial attorney at Foster Graham Millstein & Calisher. His practice focuses on defending the rights of those accused in criminal courts of every kind across Colorado. He received his law degree from the University of Denver, where he had his first trial experience in the Criminal Defense Clinic. 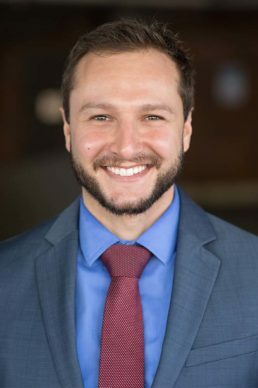 He joined FGMC after four years as a trial attorney at the office of the Colorado State Public Defender in Pueblo and Arapahoe counties. Mikhail has defended hundreds of people in matters ranging from DUI to Homicide and everything in between. He feels most comfortable in the courtroom, having been to trial on numerous cases and receiving successful verdicts in a vast majority of those cases. Mikhail is also a native Russian speaker. He feels privileged to be part of the team at FGMC which shares his passion and dedication to strong and zealous advocacy.